1. Digestive support: Cucumber skins contain insoluble fiber, which helps food to move through your digestive tract more quickly for healthy elimination. Hurray for healthy elimination! 2. 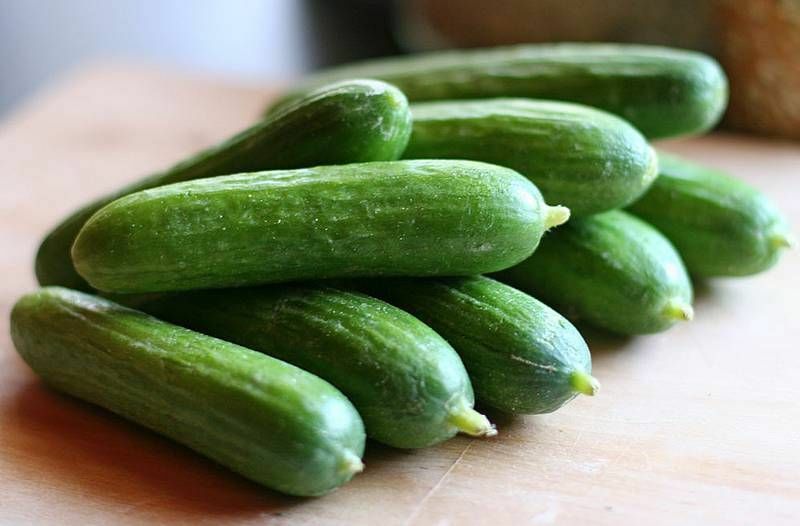 Heart health: Cucumbers contain the vital electrolyte potassium which is associated with a healthy heart. It’s important to maintain a proper balance of potassium and sodium in order to achieve optimal overall health. 3. Helps fight inflammation in the body: Animal studies with cucumber extract have demonstrated their ability to inhibit pro-inflammatory enzymes. 4. Highly alkaline: Maintaining proper equilibrium in the body is imperative for good health. When the body is alkaline, nasty things like colds and flu cannot survive. I’m all for keeping those nasty flu bugs away! 5. Reduces stress levels: Cucumbers are high in vitamin B, especially B1 (thiamine), B5 (pantothenic acid) and B7 (biotin). Studies have shown that Vitamin B can help reduce levels of stress in the body. 6. High in silica content: Silica is a major component for building bone health. Silica also binds to aluminum to offset its toxicity and helps flush it out of organs. 7. Good for brain health: Cucumber’s anti-inflammatory flavonol, fisetin, plays an important role in brain health. Fisetin protects against progressive memory loss and cognitive decline according to animal testing.